Comprehensive analysis of field studies from the terrestrial Arctic reveals large spatial biases in sampling. Nearly one-third of all citations are derived from sites located within 50 km of two research stations — Toolik Lake in the USA and Abisko in Sweden, pictured. Image: courtesy of Maja Sundqvist, Umeå University. Photographer: Tyler Logan. Cover Design: Bethany Vukomanovic. 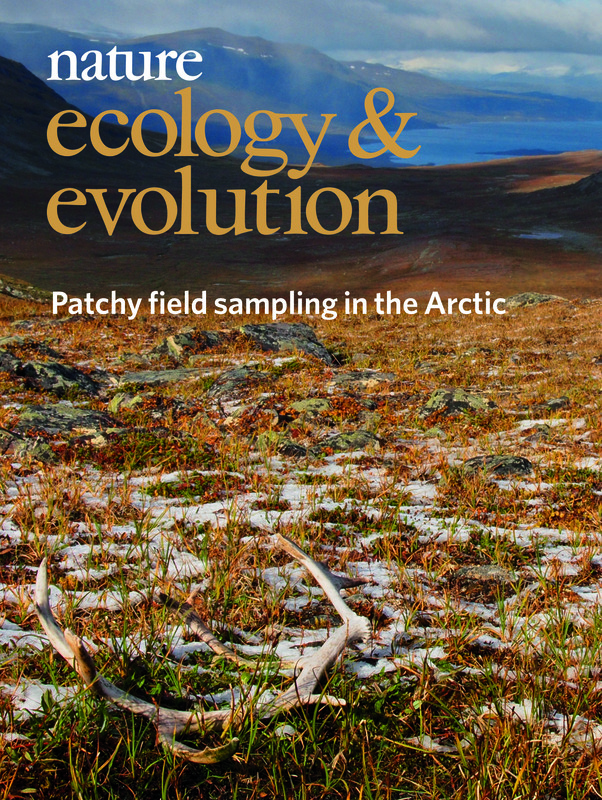 From 'Patchy field sampling biases understanding of climate change impacts across the Arctic'. Metcalfe et al. Nat. Ecol. Evol. 2, 1443-1448 (2018).